The President of the Autonomous Bougainville Government, Chief Dr John Momis, has announced an indefinite moratorium on exploration and mining in Panguna. He said the Bougainville Executive Council had its meeting on Wednesday made a “thoughtful and considered” decision to impose an indefinite reservation moratorium from any exploration or mining over Panguna in the best interest of the landowners and the people of Bougainville. The council debating the issue following advice from the Bougainville Mining Advisory Council. “It is with much regret that the basic requirement for obtaining the landowners consent under the Bougainville Mining Act 2015 could not be met,” Momis said. 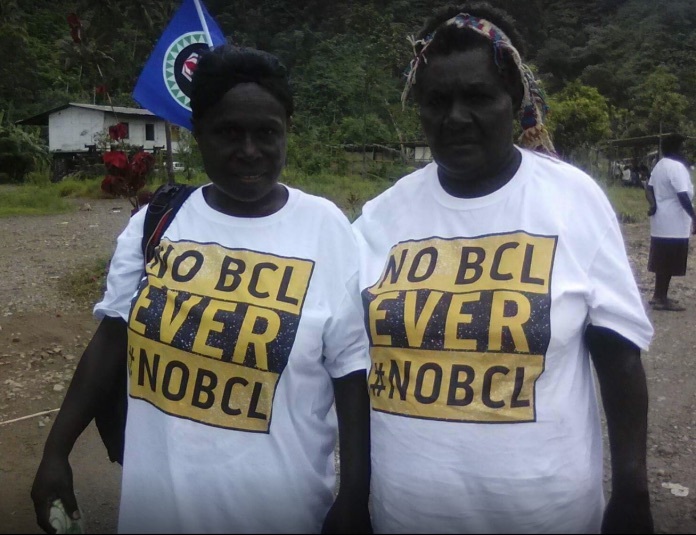 The voice of the Panguna landowners was clearly heard during the mining warden hearing that decided in a narrow split between those supporting the mine reopening by Bougainville Copper Limited (BCL) and the opponents. Dr Momis also said that to develop the mine by any other developer would be “untenable” under current circumstances. “We will not allow this project once again to reignite the wounds of the Bougainville crisis and distract our focus for restoring peace and our preparation for our referendum in 2019,” he said. While imposing this Panguna moratorium, Dr Momis said his government would continue to consult with Panguna landowners and the people of Bougainville over an “appropriate arrangement” or best alternative models of development of the mine if the people still had an appetite to develop the mine in the future. The Bougainville Civil War was fought in 1988-1998 between Papua New Guinean military forces and secessionist guerrillas of the Bougainville Revolutionary Army (BRA). 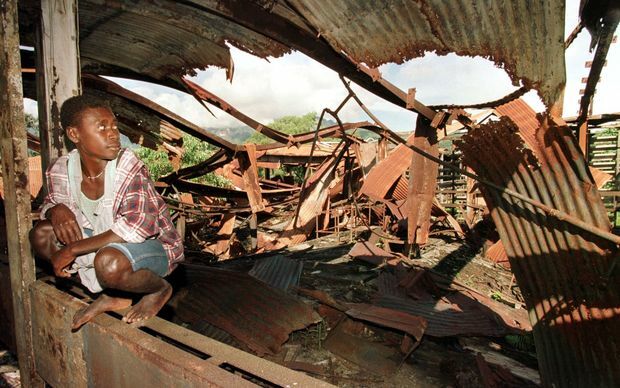 The conflict led to an estimated 15,000-20,000 deaths on Bougainville before a peace agreement was brokered by New Zealand in 1998. This led to the establishment of the Bougainville Autonomous Region Government. Bougainvilleans are due to vote in a referendum on possible independence in June 2019. They say that if you told a lie enough times it becomes the gospel truth in your mind, which means you yourself will begin to believe it as well. That is exactly what happened with the BCL saga. We know now how the landowners feel about BCL and resumption of Mining in Panguna after the Warden’s hearing was held there. The fact is, how many times had we seen the President go to the media and boast that 90% of the landowners were in favour of Mining and BCL? He even slammed the report by Jubilee Australia which clearly indicated that the people in the mine affected area appeared to be mentally stressed and bore mental scars from the crisis and having their land and environment damaged, and they themselves displaced by the mine. If anything, these people expressed horror when questioned about return of BCL and the reopening of Panguna mine. Surely our dear President would have saved himself a lot of embarrassment had he heeded the warning by Jubilee and even AusAid for that matter. Jubilee didn’t sit around in Buka and wait for a fortuneteller to come from Panguna and tell them what they hoped to hear. They went in and found out for themselves while ABG and it’s administration drove around in 5 door cruisers and held meetings that never delivered anything. The sad fact of course is that people’s time, money and efforts have been wasted chasing the pot of gold at the end of the rainbow. Our President is surely a man of many colors of the rainbow. Due to mass hypnotism induced through flowery rhetoric our memory banks were wiped clean and we did not waste time in reinstating our master orator as the President of Bougainville. We reinstated him with landslide votes showing that foolish people in large groups can still wield a lot of power under the pretext of democracy. What we seemed to have forgotten is that under a different color in 1989 our President was the man who bitterly attacked BCL in the media calling it “wild pig” and proposed “Bougainville Initiative” under which a new mining company would replace BCL. Although it was just a lot of hot it did however, help to start a war when it stirred up the landowners who were already fed up with BCL. I don’t know if BCL too had forgotten what he had done back then but in politics you often find strange people on the same bed and in our case with “the devil we know”. After all this time it took Mining Warden’s hearing to finally spell out the truth. Imagine what would have happened if a handful of women and excombatants had not stopped the President and his full cabinet and BCL management trying to sneak into Panguna to sign the MOA? I leave that question with you and I never have lost hope for Bougainville. I do hope that we have learnt some costly lessons and that based on those lessons we can now move forward into 2018. MERRY CHRISTMAS AND A HAPPY AND PROSPEROUS NEW YEAR TO YOU FELLOW BOUGAINVILLEANS. Bougainville Copper Ltd shares fell on Wednesday following a report that the government of the Pacific island of Bougainville plans to impose a moratorium on mining or exploration at Panguna, once one of the world’s biggest copper mines. Bougainville Copper has been working to restart the mine, which was shut by a civil war in 1989. 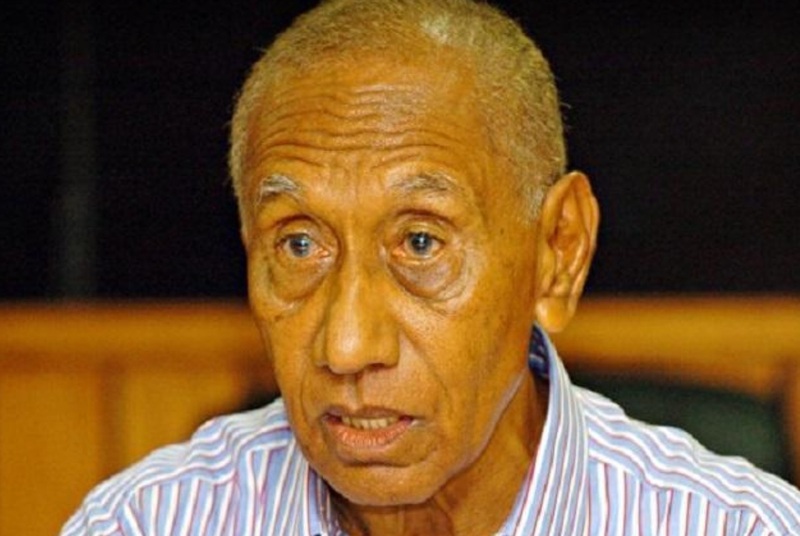 Bougainville President John Momis said the island’s executive council decided to impose the indefinite moratorium after landowners narrowly failed to support a plan to reopen the mine, the New Zealand-based Asia Pacific Report said on Dec. 23. “We will not allow this project once again to reignite the wounds of the Bougainville crisis and distract our focus for restoring peace and our preparation for our referendum in 2019,” the report quoted Momis as saying. The Autonomous Bougainville Government could not be reached for comment. Bougainville Copper said in a statement it was seeking clarification from Bougainville’s Department of Minerals and Energy Resources about the report. Bougainville’s quarter of a million people are tentatively scheduled to vote on independence from Papua New Guinea in June 2019. Revenue from the reopening of the Panguna mine is [allegedly] essential for the otherwise impoverished island. There has been a struggle over who will run the mine between Bougainville Copper, backed by the Bougainville and Papua New Guinea governments, and a consortium of Australian investors supported by the head of the landowners. The abandoned copper and gold mine contains one of the world’s largest copper deposits. During its 17-year life until the closure in 1989, Panguna was credited for generating almost one-half of Papua New Guinea’s gross domestic product. Bougainville Copper Ltd said on Wednesday it is yet to be notified by the government of the Pacific Island of Bougainville of any moratorium on the Panguna mine, once one of the world’s biggest copper mines. The company said it was seeking clarification from Bougainville’s Department of Minerals and Energy Resources regarding reports of a statement from Bougainville President John Momis regarding an indefinite moratorium on exploration and mining in Panguna. The quarter of a million people of Bougainville are tentatively scheduled to vote on independence from Papua New Guinea in June 2019, and revenue from the reopening of the Panguna mine is [allegedly] essential for the otherwise impoverished island. The mine has been shut for nearly three decades by a civil war on the island. Locals fear for their environment despite promises of riches. 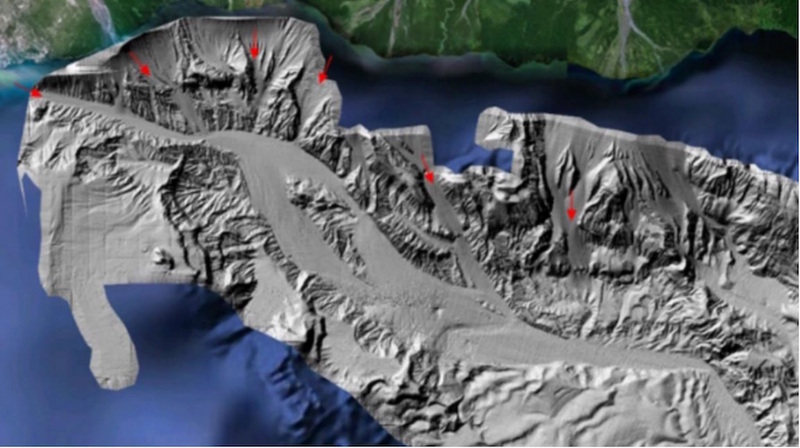 The Huon Gulf deep sea trenches have been identified as a suitable location for deep sea tailings placement [toxic waste dumping] from the Wafi-Golpu Project [mine]. 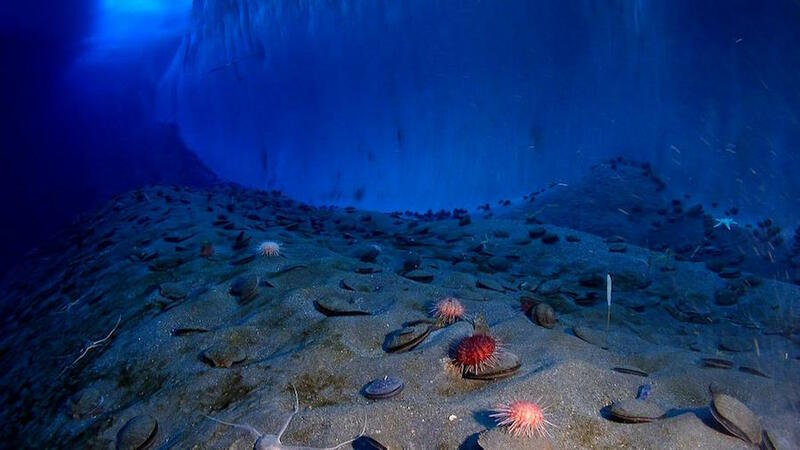 The Wafi-Golpu Joint Venture (WGJV) presented during the PNG Mining and Petroleum Conference that the Huon Gulf deep sea trench was highly suitable. Wafi-Golpu Joint Venture executive project director, Bryan Bailie, said in the presentation that local rivers, including the Markham, discharged 60 million tons per annum of natural sediment into the Markham Canyon, which reports to the New Britain Trench which is 9000 metres deep. He said it was a highly disturbed environment, with regular purging of sediments through mass flow events and has low bio accumulated risk. Huon Gulf is located on the northern coast of PNG, occupied by Morobe Province. Huon Gulf offers spectacular scenery, accessible diving spots and a range of climates from sub-alpine and alpine to tropical. Meanwhile, the Joint venture says a stable legislative and fiscal regime is critical to the development of the Wafi-Golpu Mine Project. 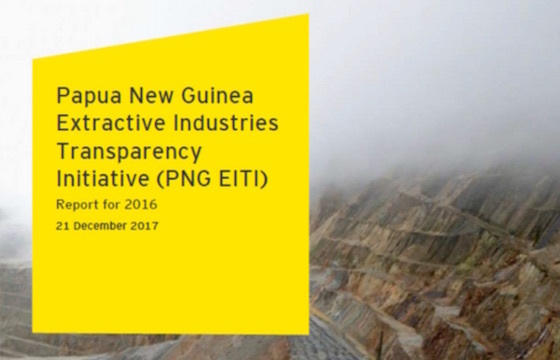 The PNG Extractive Industry Transparency Initiative (EITI) has released its 2016 Report. This is the fourth report by the entity since joining the global EITI standards movement. In his forward in the report, Treasurer Charles Abel said the 2016 Financial Year Report is the culmination of continued commitment, collaboration and efforts by the Government, extractive industries and civil society organisations to provide a comprehensive picture of the sector, its impact on the economy and our management of the revenues and benefits derived. He said the 2016 Report is important in that it will form the basis of an external review and assessment for PNG’s EITI membership validation in 2018. “The EITI process can also help improve current policy settings, the taxation and fiscal regime governing the extractives sector,” he stated. “It demands Government to adhere to global best practices in the sector by increasing transparency and accountability of extractive revenues. It also demands the highest levels of transparency in the collection and distribution of revenues by the Government. “I encourage the public to read the contents of the report and use it as a basis for stimulating further discussions on the management of the sector,” said Abel. “Though PNG remains one of the most challenging countries to invest in geographically, it is amongst the most geologically attractive countries in the world. 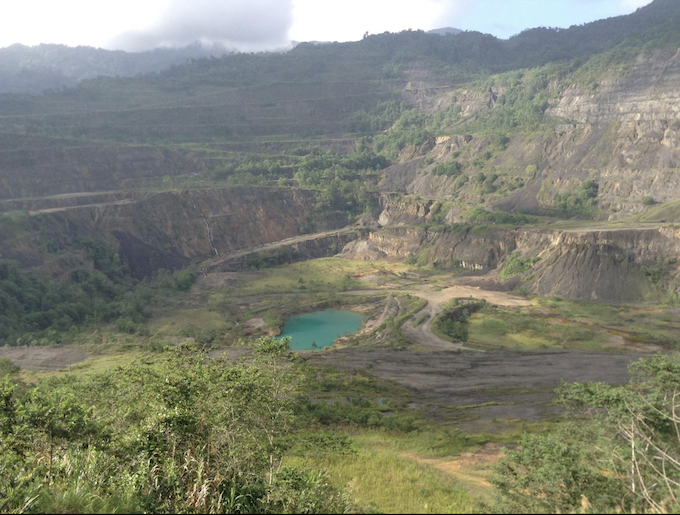 “While global commodity prices have remained subdued in the last couple of years, developers of a number of proposed projects in PNG have remained committed and proceeded with several major mines set to come on stream in the near future. “With promising signs of global commodity prices recovering, both developers, Government and our people stand to gain from the operation of these projects. Abel reassures investors that PNG is committed to transparency and accountability to achieve better outcomes for our development aspirations. The PNG EITI aims to promote revenue transparency and accountability in the country’s mining and petroleum sectors. This report covers the calendar year from 1 January 2016 to 31 December 2016.